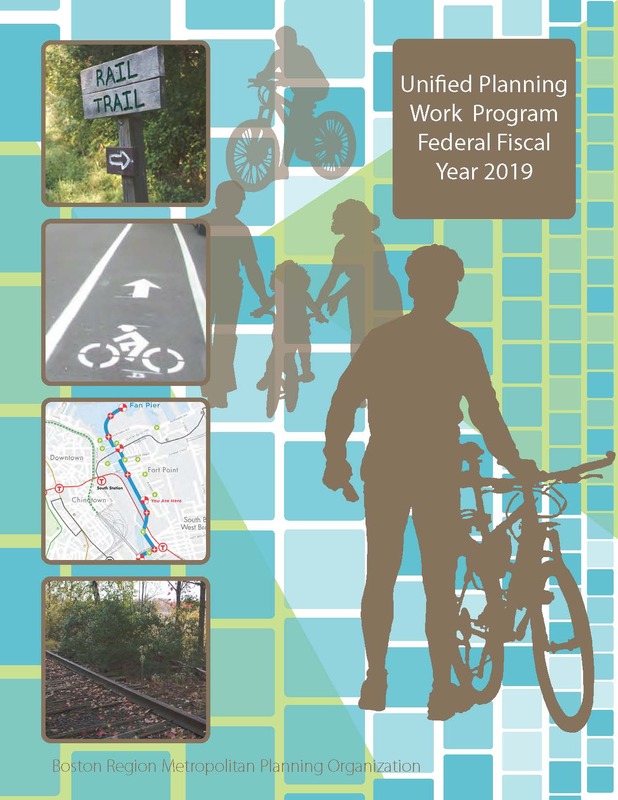 Each federal fiscal year, the MPO produces the Unified Planning Work Program (UPWP). This document programs studies and research projects that provide transportation planning and technical assistance to municipalities and agencies in the region. These studies focus on all modes of travel, with the goal of creating communities that are safe, accessible, more walkable, bikeable, and resilient. To see the current schedule for FFY 2020 UPWP development, key upcoming MPO meetings, and relevant documents, visit the UPWP Development Page. See below for the current (FFY 2019) UPWP and past documents. On June 21, 2018, the MPO board voted to endorse the federal fiscal year (FFY) 2019 Unified Planning Work Program (UPWP) (pdf) (html), including 10 new discrete studies. The FFY 2019 UPWP was approved by the MPO’s federal partners and took effect on October 1, 2018. View older UPWP documents and previous studies considered for funding by the MPO in our archive. For more information, please contact Sandy Johnston, MPO staff, at 857.702.3710 (voice), 617.570.9193 (TTY), or sjohnston@ctps.org (email).